Minister of state for home Hansraj Gangaram Ahir said that national awards are not to be used as prefixes or suffixes to the name of the recipient. 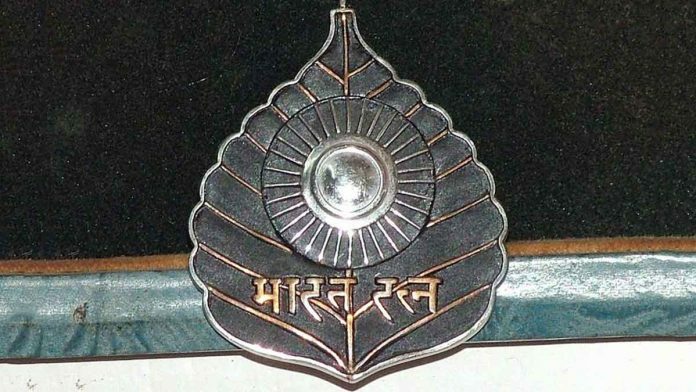 New Delhi: The Bharat Ratna and Padma awards are not titles and cannot be used as prefix or suffix to names and they can be withdrawn in case of misuse, the government said Tuesday. Replying to a written question in Lok Sabha, Minister of State for Home Hansraj Gangaram Ahir said the national awards such as Bharat Ratna, Padma Vibhushan, Padma Bhushan and Padma Shri “do not amount to titles within the meaning of Article 18(1) of the Constitution and thus are not to be used as prefixes or suffixes to the name of the recipient in any manner whatsoever”. The minister said that in case of any misuse, the defaulter shall forfeit the national award conferred on him or her by following the procedure laid down in regulation 10 related to creation of these awards. Regulation 10 states that the president may cancel and annul the awards of the decoration to any person and thereupon his or her name shall be erased from the register and the awardee shall be required to surrender it. The minister said in his reply that immediately after these awards are conferred, every awardee (except a posthumous case) is communicated the rules and advised not to prefix or suffix the award to his or her name. As many as 38 personalities have been awarded with Bharat Ratna, country’s highest civilian award, since 1955 when it was instituted to recognise the work of people in politics, science, space, education, medicine and other areas. Similarly, 307 people have been awarded Padma Vibhushan, 1,255 Padma Bhushan and 3,005 Padma Shri. Sri Lanka terror attack: Did the world let its guard down on ISIS?